My NW decreased slightly during Feb, almost back to where I was at the end of 2017. 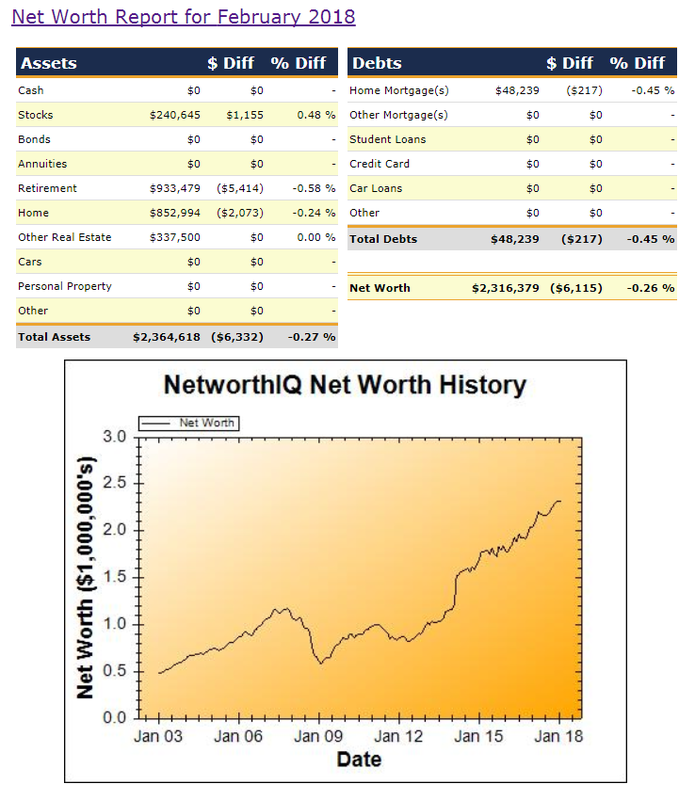 Weakness in both the international share market (which affected our retirement savings) and the Sydney real estate market resulted in an overall decline in net worth of -$6,115 (-0.26%). The market recovered some of its earlier losses towards the end of the month, although it showed continued weakness in the final days of the month.